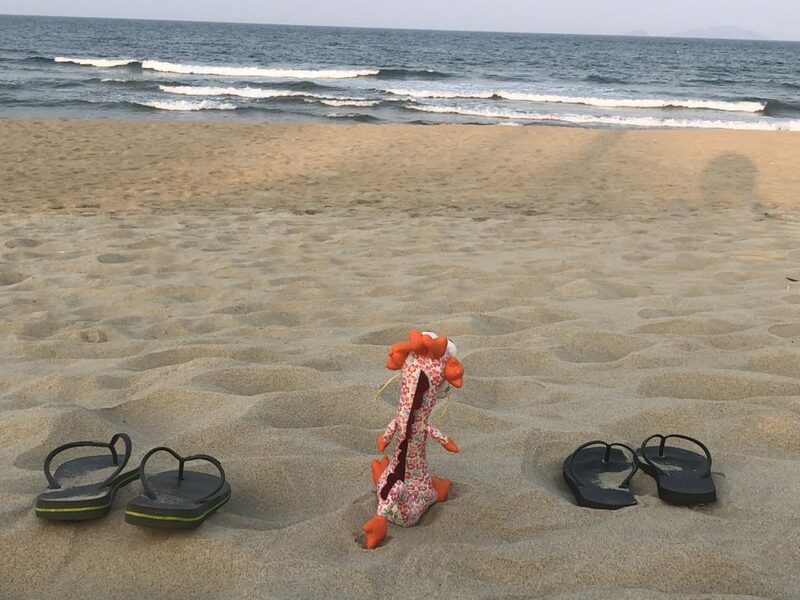 Yes, you read that right…we went on a “babymoon” which means we are having a baby! We will have a little one joining us in about 2 months time, here in Singapore. 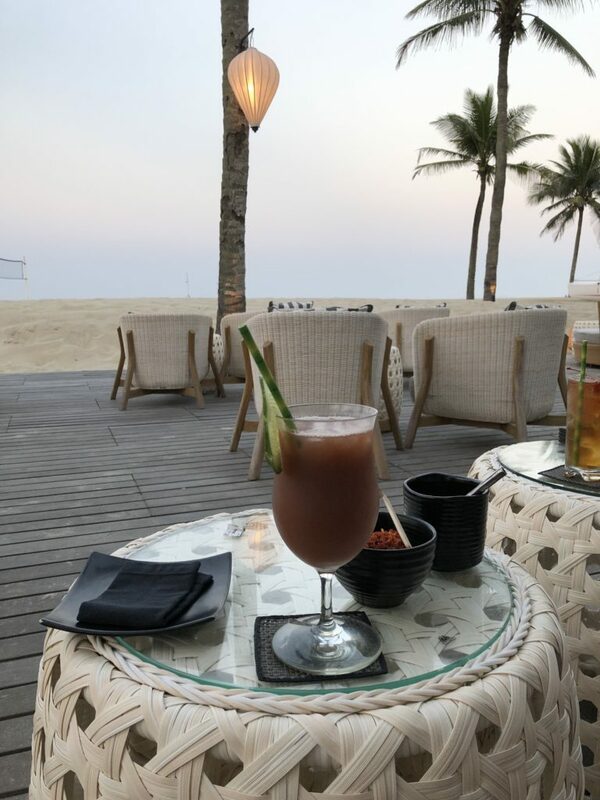 🙂 I think the realization set in that we only have 2 more months of “just us”, so this trip to Hoi An, Vietnam was very last minute. We booked everything the day before we left! 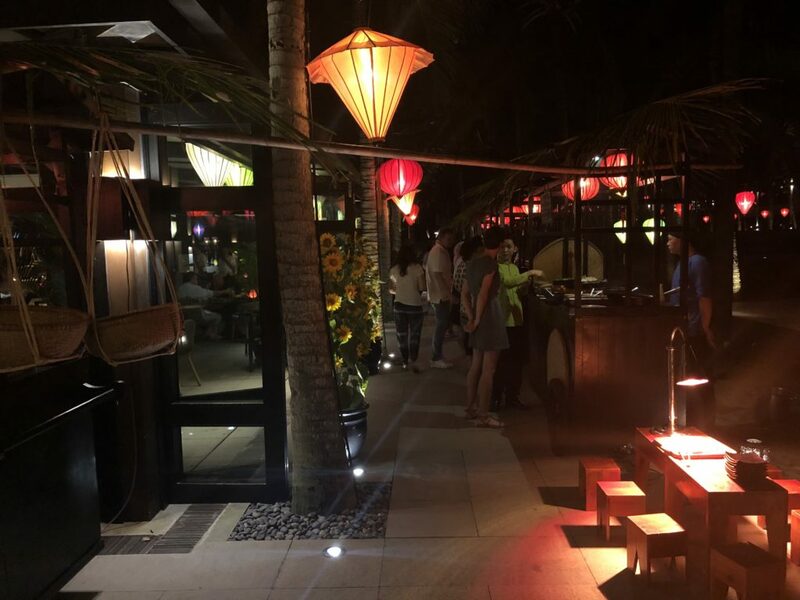 Hoi An is only a 2.5 hour flight from Singapore, flying into Da Nang and then the hotel was only about a 30 minute drive. At this stage of my pregnancy, that was about as far as I was willing and able to travel. It’s a beach destination and the beach there was LOVELY! 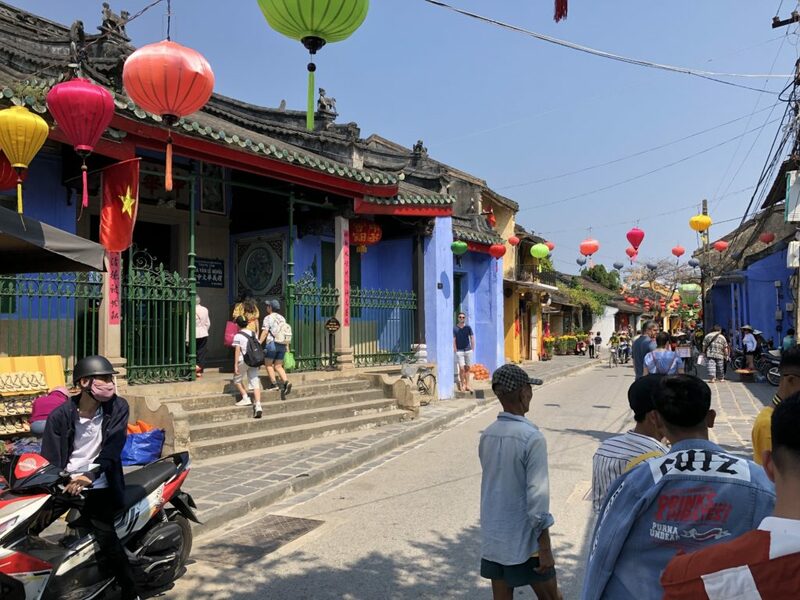 Also, Hoi An is a little, old village that has been marked as a UNESCO World Heritage Site. No cars are allowed in, the buildings are old, bright colored, little shophouses and covered with flowers. Lots of cafes and shops. We walked around the village one morning and had lunch. Went went over the Lunar New Year holiday, so several things were closed, but it didn’t make too much of a difference. It was hot. My goodness, it was hot. And it’s only February. I can’t imagine how hot it would be in the actual summer time. 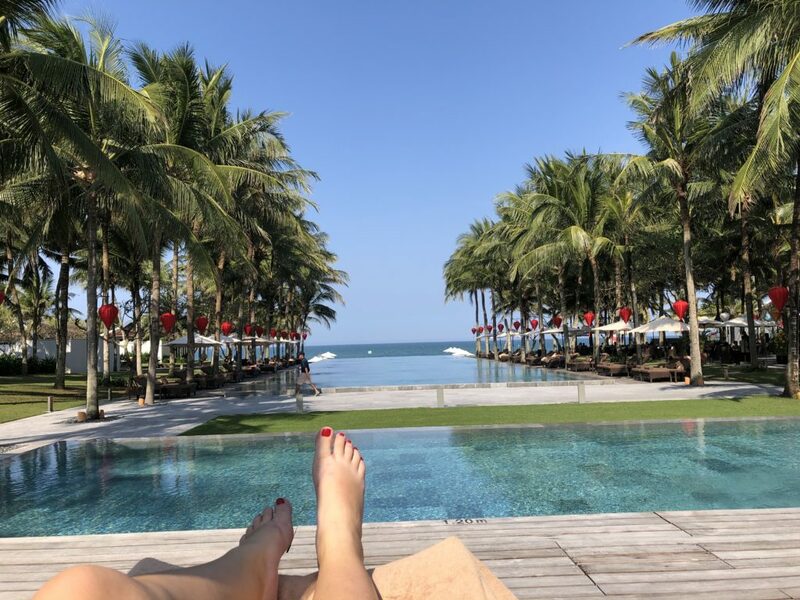 We stayed at the Four Seasons The Nam Hai – and I could not recommend it more. The resort was so nice, the beach was clean and the weather was perfect! We also got some massages while we were there, which was incredibly relaxing and much needed. 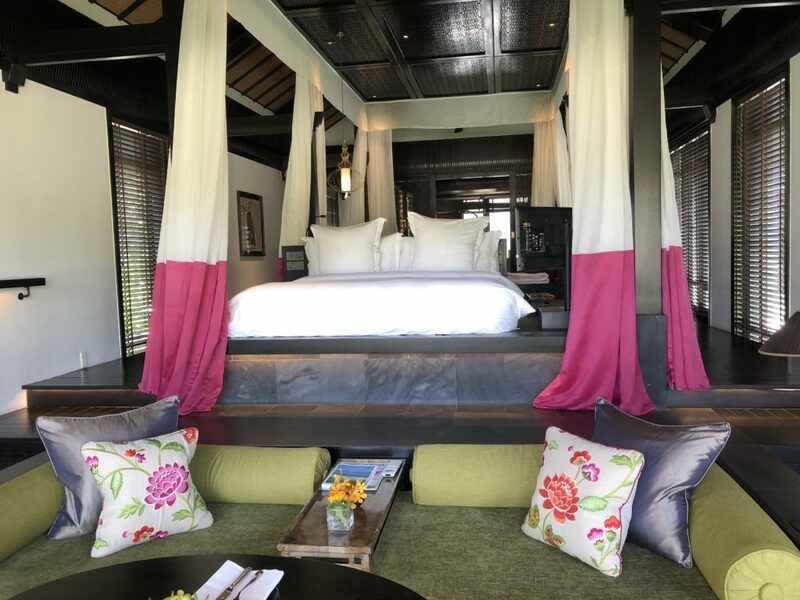 We read about this hotel in Conde Nast as one of the best hotel spas. So we booked and we went. The food was excellent! 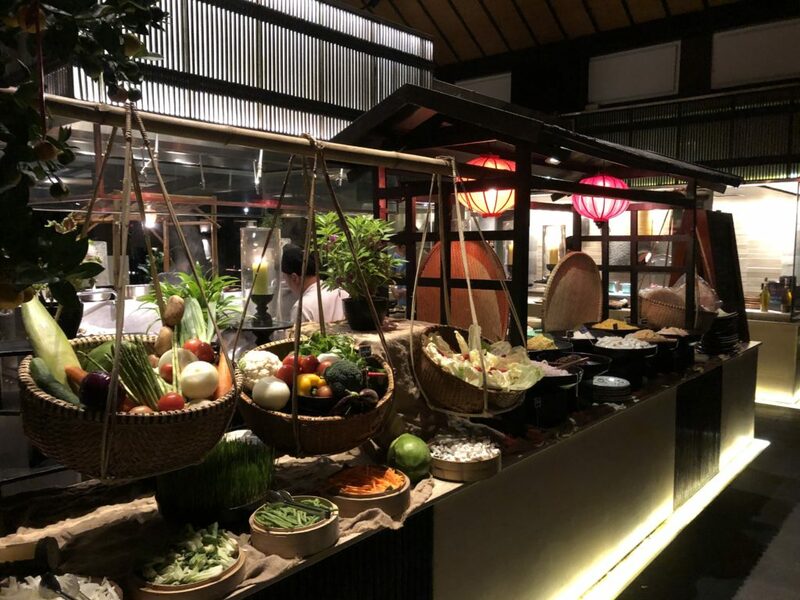 Sometimes at resorts the dining can get a bit stale because there are usually only a couple of restaurants and you tire of what the menus offer each evening. But here, every night was a “theme night”! And I LOVE themes! 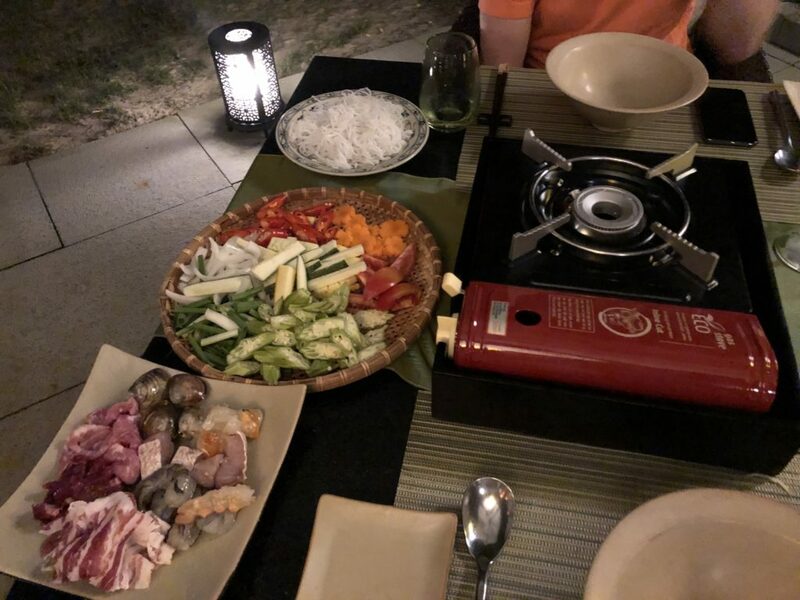 The first night was Vietnamese Hot Pot Night, which was our favorite! You got to choose your meats and veggies at the “market” they set up, then they cooked it all in the broth you also chose, right there at your table. Delicious! Then it was Italian Feast Night which was good, but heavy. Lovely setting, and the food was good, just too heavy for us. 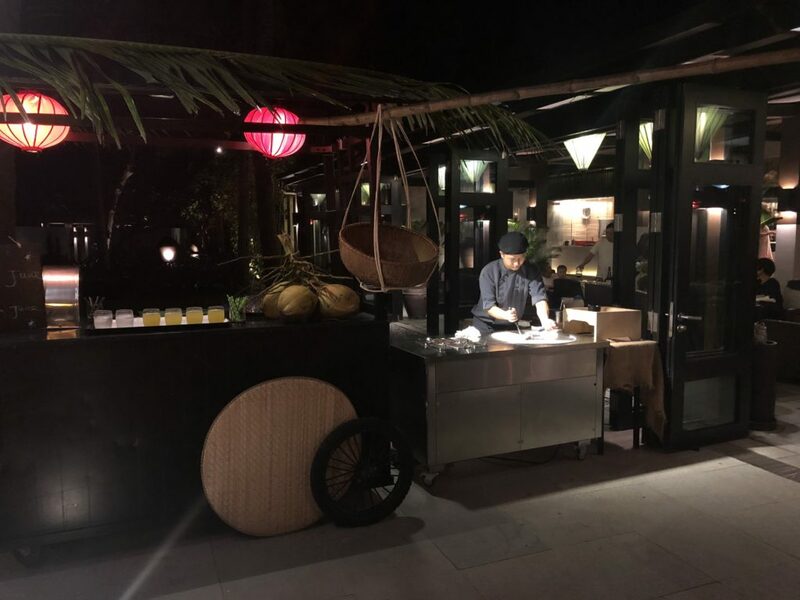 The last theme night was Street Food Night and they set up these little carts, (similar to what you would see on the street), with typical Vietnamese street food. This night was really fun and the food was incredible. We ate way too much this night! Fell immediately asleep. That little table on the right has pizza on it for little kids – so cute! This guy was making homemade ice cream… yes, please! Honestly, this holiday was a lot of beach time, spa time and sleeping and it was everything we wanted it to be! The next few months are going to go by quickly, and I am sure will be overwhelming, but filled with lots of excitement! We can’t wait for our little baby to join us!! Stay tuned for more! Here are some more pictures for you to enjoy! 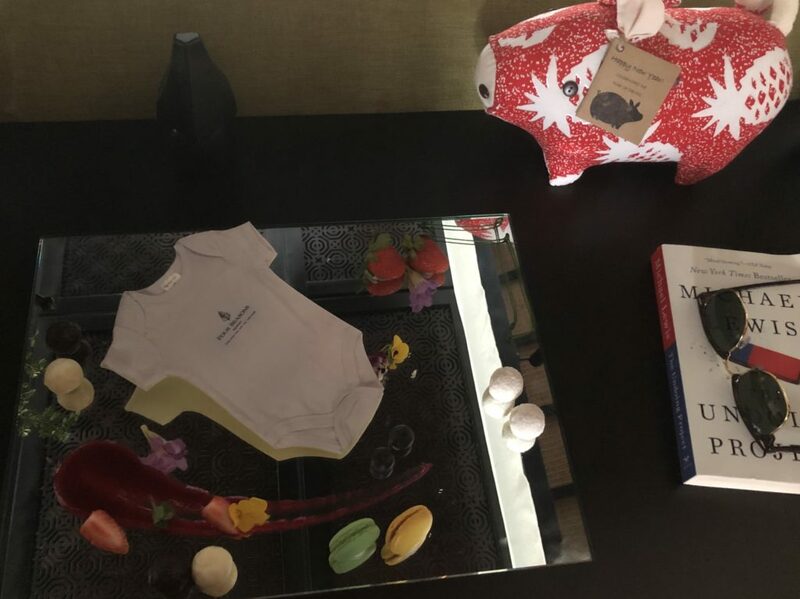 Gift from the hotel – chocolates (including the onesie haha!) and a plush pig for Lunar New Year, Year of the Pig!